Probablemente recuerdes cuando Bitcoin era noticia y salía en la tapa de los diarios. No fue hace tanto tiempo, fue apenas algo más de un año, a fines de 2017. En ese año Bitcoin arrancó valiendo u$s 1.000 dólares para cerrar en u$s 13.000 dólares, habiendo tocado los U$s 20.000 dólares dos semanas antes. Fue un incremento abismal por donde se lo mire. Ni que hablar si se lo compara con el rendimiento promedio de las finanzas tradicionales del 5% anual (en dólares). El de Bitcoin fue de 1.400% en 2017. Por lo tanto era entendible el interés de la prensa, y de la gente en general a través de las redes sociales, fue una furia especulativa desatada que nadie paraba de hablar de esa oportunidad. Para la gran mayoría resultó algo totalmente novedoso, y difícil de entender, al que toma tiempo en familiarizarse. Pero esa subida imparable no duró mucho, como era de esperarse. Porque en 2018 el valor se desplomó hasta los u$s 3.200 dólares por unidad. Qué sucedió? Algo que estamos muy acostumbrados por estas latitudes. Un análisis más racional indicaría quizá todo lo contrario, para evitar entrar en estados emocionales que llevan a tomar decisiones financieras que terminan siendo incorrectas. Tomar perspectiva cuando se trata de inversiones financieras, siempre es saludable para hacer un análisis más racional que guarde asidero en el futuro. Si bien es cierto las fechas elegidas pueden distorsionar un poco los resultados, usaremos la fecha de publicación de esta nota (fines de marzo de 2019) como referencia. También hay que destacar que nada asegura que en el futuro un activo financiero se comportará como lo hizo en el pasado, el gráfico sirve como ilustración para referencia. El dinero digital es mucho más profundo, y su impacto más duradero en el largo plazo, que la volatilidad que hemos visto en su precio en los últimos 18 meses. En el fondo, lo que hay es una puja invisible entre los que apuestan por el dinero basado en código de programación, software, máquinas o por unos pocos humanos burócratas de bancos centrales que confían en Dios (en referencia al billete de 100 dólares que dice “En Dios Confiamos (In God We Trust)”. Podemos mirar como se desenvuelve al costado, o tomar partido invirtiendo en alguna de las 2.100 monedas digitales que existen hoy en día, donde Bitcoin es la más grande y conocida, pero lejos de ser la única. Tim Draper, conocido por sus inversiones en emprendimientos como Hotmail, Twitter, Tesla y Skype. En 2014, el gobierno de Estados Unidos subastó 30,000 Bitcoins que habían sido incautados de un sitio ilegal. 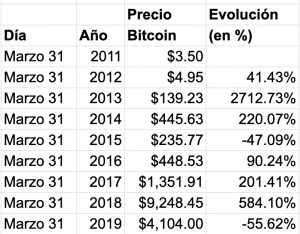 Tim Draper los compró todos, a un precio superior al mercado en ese momento, u$s 632 dólares por Bitcoin. Los casi u$s 19 millones de dólares invertidos en ese momento, hoy valen u$s 122 millones. En su visita a nuestro país se juntó con el Presidente Macri y le vaticinó que el Bitcoin puede llegar a u$s 250.000 dólares en 2022. No sabremos si fue acertado o no por varios años, pero cuando volvemos a mirar que hoy vale u$s 4.000 dólares ya no parece tan descabellado, excepto para quienes compraron en la cresta de la ola a u$s 20.000 dólares y se juraron nunca más volver a entrar. Las emociones en las inversiones financieras pueden ser malas consejeras. Siempre es bueno invertir primero con la cabeza antes que con la billetera. Dedicar tiempo a aprender sobre esta revolución tecnológica del dinero digital que impactará de lleno en nuestras vidas en los próximos 20 años. Los diarios y las redes sociales volverán a hablar mucho en la próxima subida del precio de las monedas digitales. Va a ser más fuerte que la anterior, solo que no sabemos cuándo ni cuan alto, pequeño detalle. Blockchain technology will open opportunities beyond the scope of what we can imagine today, just as the Internet opened the door to things unthinkable at the time. Who would’ve guessed that in 2017 more than 50% of the Internet bandwidth consumption in the United States is to watch movies via streaming on Netflix, and video & audio via YouTube, the vast majority from mobile devices? That is why Terrifico Capital is a bet to closely monitor the evolution of the cryptocurrencies and blockchains sector as a whole. And to identify the winners, the so-called crypto unicorns, those projects that can generate at least 100x return in the medium or long term. In this industry, we are talking about that it will take between 3 to 5 years for the real winners to appear. Maybe Bitcoin is one of them. Today everything seems to indicate that it will be, but just as in 2004, when MySpace reigned on social networks, it may happen that a Facebook will appear that will take away the kingdom in a short time. So in reality, we have no certainty as to who will be the final winners. Our commitment is to contribute directly to the construction of a better world, a decentralized world, where people can decide more about their destination, where more than 2 billion people can finally enjoy the benefits of financial inclusion. To achieve that, we want to make our contribution by financing the technology revolutionaries, financing their dreams, helping them to make it possible. Today the market is practically virgin in a number of sectors and niches within the crypto sector, which is unthinkable. It is a “land grab” in 2017, everything is yet to be done. It’s as if we imagine a new city, back in 1800. Which areas or buildings will be the most valuable in the next 50 years? A similar parallel we try to do every day when we analyze the incipient amount of new projects in the blockchain that exploded like mushrooms in 2017 and everything indicates that it will only increase even more exponentially. If we look back, and learn from the experience of Internet 1.0 (basically developed between 1995-2000) we will see that the best financial return was for those investors who bet on the trend at the framework level, that the Internet was going to revolutionize the way in which people from all over the world live their days. They bet on the companies that embodied the revolution: that revolutionary internet the way we communicate, do business, inform ourselves, read, learn, play, buy, etc. What seems obvious today, was not so in 1996, when I was just beginning to hear about email and websites that could be accessed for free. Today something extremely similar happens in the transformational impact of technology, only that there is the talk of Bitcoin, cryptocurrencies, ICOs, and blockchains, instead of email, internet, web pages. I am sure that in 2027 we will look back and it will be just as obvious that this technological revolution would stay forever. And that dramatically impacts the way we live, do business, pay, buy and relate to money and valuable assets. History repeats itself, with striking similarities. The opportunity is just as big, or maybe much bigger. This is just beginning and the time to invest is now. There were many investors who at the time bet individually to choose the shares in the market that promised the most future. But the missing element is that the market may not have coincided with that investor’s personal appreciation, but the strategy was not the most appropriate. At Terrifico Capital, we take that learning and incorporate it into our investment thesis to bring investors a chance to be exposed to this new financial asset, without having to worry about keeping up with the vibrant evolution that is happening today. continues this new area. If you’d like to know more about us, please contact us. Finally, non-tech investors can learn how to profit from the amazing tech revolution of blockchains and cryptocurrencies in a very easy to understand language. 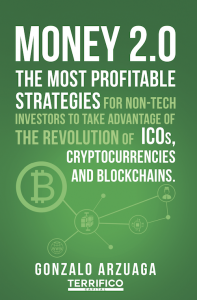 Money 2.0 is a fundamental guide needed by financial investors to understand the scope of this new technological revolution. The blockchain will exceed in impact over the next 20 years the effects that the Internet had in the last 20. Bitcoin, cryptocurrencies, blockchains, ICOs, and tokens are going to be words of the daily lexicon in the coming years, and that makes it essential to be prepared today when this revolution is just beginning. It is known as “The Internet of Value” and is the natural evolution of “The Internet of data”, its forerunner in the ’90s. In 2018, the more than 1,500 cryptocurrencies have an aggregate value of $500 billion dollars. By 2021, it is estimated the entire crypto-economy will be worth several trillion dollars. No investor worth his salt can continue ignoring this technological revolution that aims to disrupt the financial world as we know it. To put things in perspective, in 2013 there were 8 cryptocurrencies with values over $ 1 million of market value (market cap) each. In 2017 there were 30 cryptocurrencies with a market value of over $1 billion dollars each. In 2021 there will be 15 tokens/cryptocurrencies with a market value of over $100 billion dollars each. About the author, Gonzalo Arzuaga. In 1996, Arzuaga began writing about business and technology by publishing “Negocios en Internet”, the first Spanish-language book evangelizing about the power of the technological revolution called the Internet. It was followed by “Marketing on the Internet” in 1997. In 1999, he completed the first Internet transaction worth millions in Latin America when Terra/Lycos bought his project called GauchoNet, an Argentine portal and search engine. He is an international lecturer in 3 languages (Spanish, English, and Portuguese) about entrepreneurship, marketing, internet and cryptocurrency investing. In 2017, Arzuaga created Terrifico Capital, a hedge fund to invest only in cryptocurrencies, so that non-technological investors can expose their capital to the attractive returns offered by cryptocurrencies and specifically ICOs. La tecnología de bloques (blockchain) abrirá oportunidades fuera del alcance de lo que podemos imaginar hoy, tal como Internet abrió la puerta a cosas impensadas en su momento como por ejemplo que en 2017 más del 50% del ancho de banda de internet en Estados Unidos después del horario laboral se consume para ver peliculas via streaming en Netflix y video y audio vía Youtube, la gran mayoría desde dispositivos móviles. Por eso Terrifico Capital es una apuesta a monitorear de cerca la evolución del sector criptomonedas y blockchains en su conjunto. Y a identificar los ganadores, los llamado cripto unicornios, aquellos proyectos que puedan generar al menos 100x de retorno en el mediano/largo plazo. En esta industria, estamos hablando que tomará entre 3 a 5 años que aparezcan los verdaderos ganadores. Quizá Bitcoin sea uno de ellos. Hoy todo parecería indicar que lo será, pero al igual que en 2004 donde reinaba MySpace en redes sociales puede pasar que aparezca un Facebook que le quite el reino en poco tiempo. Así que en realidad, no tenemos certeza de nada en cuanto a quienes serán los ganadores finales. Nuestra apuesta es a contribuir directamente en la construcción de un mundo mejor, un mundo descentralizado, donde la gente pueda decidir más sobre su destino, donde más de 2.000 millones de personas puedan empezar a disfrutar, finalmente, de los beneficios de la inclusión financiera. Para lograr eso, queremos hacer nuestro aporte financiando a los revolucionarios de la tecnología, financiando sus sueños, ayudándolos a hacerlo posible. Hoy el mercado está prácticamente virgen en una cantidades de sectores y nichos dentro del sector cripto, que es impensada. Es un “land grab” en 2017, todo está por hacerse. Es como si imaginamos una nueva ciudad, allá por el 1800. ¿Qué zonas o inmuebles serán los más valiosos en los próximos 50 años? Un paralelismo similar intentamos hacer todos los días cuando analizamos la cantidad incipiente de nuevos proyectos en el blockchain que explotaron como hongos en 2017 y todo indica que sólo se incrementara más exponencialmente aún. Si miramos atrás, y aprendemos de la experiencia de Internet 1.0 (gestada básicamente entre 1995-2000) veremos que el mejor retorno financiero lo tuvieron aquellos inversores que apostaron a la tendencia a nivel marco, a que Internet iba a revolucionar la manera en que las personas del mundo entero viven sus días. Apostaron a las empresas que encarnaban la revolución: que internet revolucionaria la manera en que nos comunicamos, hacemos negocios, nos informamos, leemos, aprendemos, jugamos, compramos, etc. Lo que hoy parece una obviedad, no era tal en 1996, cuando recién empezaba a escucharse hablar de email y sitios web que se podía acceder gratis. Hoy ocurre algo extremadamente similar en el impacto transformacional de la tecnología, solo que se habla de Bitcoin, criptomonedas, ICOs y blockchains, en lugar de email, internet, páginas web. Estoy seguro que en 2027 vamos a mirar atrás y va a ser igual de obvio que esta revolución tecnológica se quedaría para siempre. Y que impacta radicalmente la manera en que vivimos, hacemos negocios, pagamos, compramos y nos relacionamos con el dinero y los activos de valor. La historia vuelve a repetirse, con similitudes muy llamativas. La oportunidad es igual de grande, o quizá mucho más grande aún. Esto recien esta empezando y el momento de invertir es ahora. Hubo muchos inversores que en su momento apostaron individualmente a elegir las acciones en el mercado que más futuro prometia. Pero el elemento que faltaba es que el mercado quizá no coincidía con esa apreciación personal que tenía ese inversor, ergo la estrategia no fue la más acertada. En Terrifico Capital tomamos ese aprendizaje y lo incorporamos a nuestra tesis de inversión para traer a los inversores una opción de estar expuestos a este nuevo activo financiero, sin tener que ocuparse, ni preocuparse a estar al día con la vibrante evolución que hoy tiene en efervescencia continua esta nueva área. Si le gustaría conocer más, por favor contáctenos. 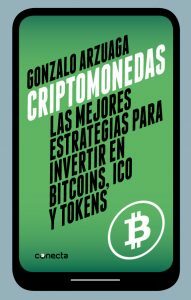 Finalmente, el primer libro en español que acerca a los inversores el revolucionario mundo de las criptomonedas. 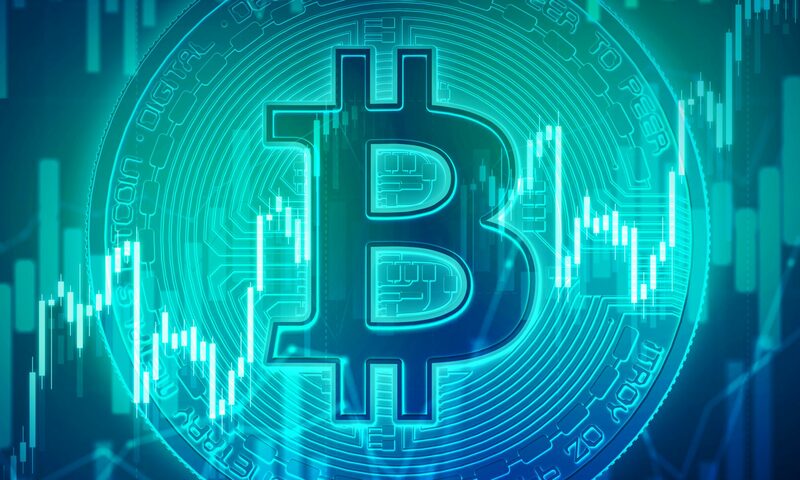 “Criptomonedas” – Las mejores estrategias para invertir en Bitcoins, ICO y tokens“. “Criptomonedas” es la guía fundamental que necesitan los inversores financieros para comprender los alcances de esta nueva revolución tecnológica. La blockchain superará en impacto en los próximos 20 años a los impactos que tuvo Internet en los últimos 20. Bitcoin, criptomonedas, blockchains, ICOs, tokens van a ser palabras del léxico cotidiano en los próximos años, y para eso es fundamental estar preparado hoy, cuando esta revolución está empezando. Se la conoce como “La Internet del Valor”, y es la evolución natural de “La Internet de los datos”, su precursora en los años ’90. En 2017, las más de 1.300 criptomonedas tenían un valor agregado de $500.000 millones de dólares. Para 2022 se estima que será de varios trillones de dólares. Ningún inversor que se precie de tal puede continuar ignorando esta revolución tecnológica que apunta a disrumpir el mundo financiero tal como lo conocemos hoy. Acerca del autor, Gonzalo Arzuaga. Luego de concretar la primer transacción millonaria en Latinoamérica al venderle GauchoNet a Terra en 1999, creó Terrifico Capital en 2017 para capitalizar la revolución de blockchain, las criptomonedas y las ICOs, ofreciendo una alternativa a los inversores que quieren exponer su portafolio en criptomonedas. Arzuaga comenzó escribiendo sobre negocios y tecnología en 1996 cuando lanzó “Negocios en Internet”, el primer libro de habla hispana evangelizando sobre lo poderoso de la revolución tecnológica llamada Internet. Luego siguieron “Marketing en Internet” en 1997 y varios otros sobre la temática. Para recibir novedades del libro y de Terrifico Capital, por favor suscribirse a la newsletter con tus datos debajo. En esta industria, estamos hablando que tomará entre 3 a 5 anos que aparezcan los verdaderos ganadores. Quizá Bitcoin sea uno de ellos. Hoy todo parecería indicar que lo será, pero al igual que en 2004 donde reinaba MySpace en redes sociales puede pasar que aparezca un Facebook que le quite el reino en poco tiempo. Así que en realidad, no tenemos certeza de nada en cuanto a quienes serán los ganadores finales. En 2017 sólo el 0.25% de la población mundial tenía criptomonedas, la misma cantidad de gente que en 1994 tenia email. Las criptomonedas van a tomar el mundo por asalto en 2018. Terrifico Capital apunta a contribuir directamente en la construcción de un mundo mejor, un mundo descentralizado, donde la gente pueda decidir más sobre su destino, donde más de 2.000 millones de personas puedan empezar a disfrutar, finalmente, de los beneficios de la inclusión financiera. Para lograr eso, queremos hacer nuestro aporte financiando a los revolucionarios de la tecnología, financiando sus sueños, ayudándolos a hacerlo posible. Hoy el mercado está prácticamente virgen en una cantidades de sectores y nichos dentro del sector cripto, que es impensada. Es un “land grab” en 2018, donde todo está por hacerse. Si le intesaria ser parte, por favor contáctenos.